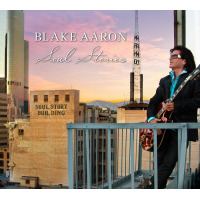 Smooth jazz guitarist Blake Aaron is back with his third CD, Desire, and for anyone familiar with his music it was well worth the wait. This collection of mostly original music captivates the senses from the first note and never lets go, as Aaron's love for jazz is apparent in everything he does. 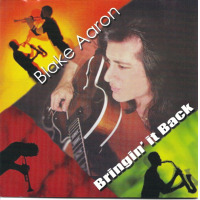 Aaron, who got his start as a kid playing rock music on Sunset Boulevard in Hollywood, California, has toured with groups such as The Drifters, The Coasters and Little Anthony. He has also been the guitarist for television shows including Mad TV, The Ben Stiller Show, Sunday Night Comics and The Jamie Kennedy Experiment. Desire heats things up with the first memorable note as Aaron lets loose on "Bumpin' On The Wes Side, dedicated to the genius of Wes Montgomery. One of thirteen original compositions on this fifteen-track CD, Aaron's engaging riffs waft through the air, light as a summer breeze. It's soft in its easy-to-listen-to quality, yet exhilarating in its passion and fine musicianship. Aaron pours his heart into another masterfully composed melody dedicated, this time, to the genius of Thelonious Monk and Grover Washington Jr., aptly titled "Harmonious Funk. "Will It Go 'Round In Circles, by Billy Preston, is one of two tracks not written by Aaron, though he makes it his own with his impeccable guitar playing. Pianist/organist Mike Whittaker is superb, as is Jeff Coffin's sassy saxophone. Aaron's take on the haunting Sting classic Fragile is truly inspired. There's a definite Latin flair to Aaron's playing and the backing horns sectionsaxophonist Will Donato, trumpeter Sal Cracchiolo and trombonist Eric Jorgensenwho punch up this famous ballad, still clearly done so as not to take away from its original beauty. Not an easy thing to do while keeping the integrity of the original. The title track highlights Aaron's skill with his instrument as it mingles sensually with Guerrero's hauntingly beautiful muted trumpet. TJ Gibson provides soulful vocals on "Forever, a timeless love song with Alan Hewitt on keyboards and programming. Switching it up is the hip and bluesy "Baby Likes the Blues, which starts off rocking and keeps doing so right through to the last magnificent note. Aaron downright rocks as does saxophonist Mike Todd. "Spin Zone closes out this extraordinary collection of music with a bang. It's upbeat, edgy and full of life, with Aaron's exuberance leading the way and a horn section that really knows how to set the groove. Three years in the making, Desire is unquestionably one of the standout smooth jazz CDs of 2007. 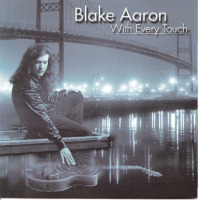 Personnel: Blake Aaron: lead, rhythm, nylon guitars, keyboards; Paul Brown: rhythm guitar, percussion, keyboards, producer; D.C. programming, drums; Roberto Vally: bass; Mike Whittaker: piano, organ, keyboards, producer; Jeff Coffin: saxophones; Adam Nitti: bass; Jesse J: flute; Hussain Jiffry: bass, percussion, producer; Oscar Seaton: drums; Steve Weingart: keyboards; Tony Guerrero: trumpet, flugelhorn; Christian Poezach: keyboards; TJ Gibson: vocals; Jimmy Branley: drums; Brian Green: organ; Mike Todd: saxophones; Walter Rodrigues: drums, percussion; Will Donato: saxophone; Sal Cracchiolo: trumpet; Eric Jorgensen: trombone; Brad Cross: keyboards, programming; Alan Hewitt: keyboards, programming, producer; Alex Al: bass; Tom Whaley: trombone; Roy Wiegand: trumpet.